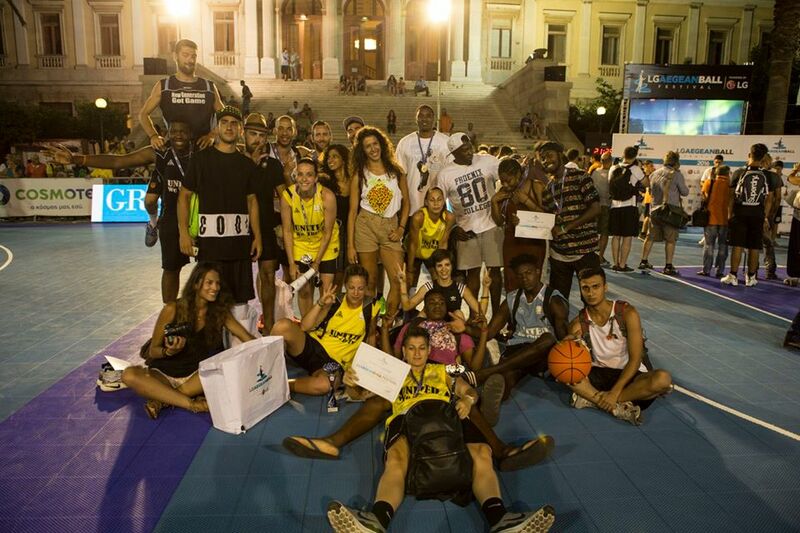 The winning teams of our different basketball tournament, New Generation Got Game Vol.III, travelled in Syros and did not only participate in the AegeanBall Festival, but also made everyone lose their minds, offered a professional spectacle and got awarded all three of them! Specifically, our women team, Bananes, consisted of Erifili Satratzemi, Eva Kalliora, Despina Nomiku and Dimitra Kesse, took part in the 6th mixed category, since there was no other women team in the PRO category and got awarded for their participation. In the men PRO category, Generation 2.0 took part with 2 teams, Generation and Black n’ White, which in our finals at Ampelokipi, competed with the team of Nikos Pappas! 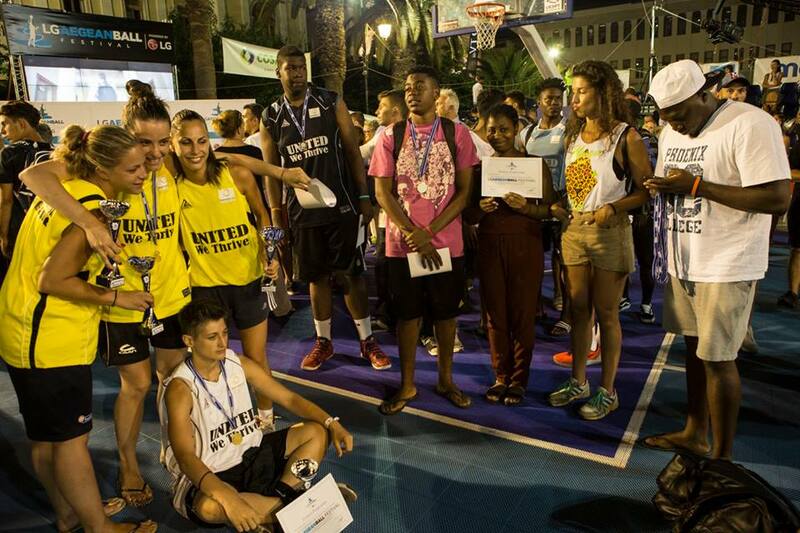 The Generation team, consisted of Alpha Antiallo, Etinosa Erevbenagie, Christiano Odoemelam and Andreas Gianikos, came first in the category, while the Black n’ White team, consisted of Niko Kamariano, Joy Gatzo, Niko Okekouoyen and Alexandros Mayindombe, came second, winning the hearts of the audience and offering a great spectacle at the AegeanBall Festival! But, apart from that, we have to say that even if the Generation 2.0 Teams won in the PRO Category, the organization of the festival made them a bit bitter, since they lost the chance to compete with the national teams, as they should! 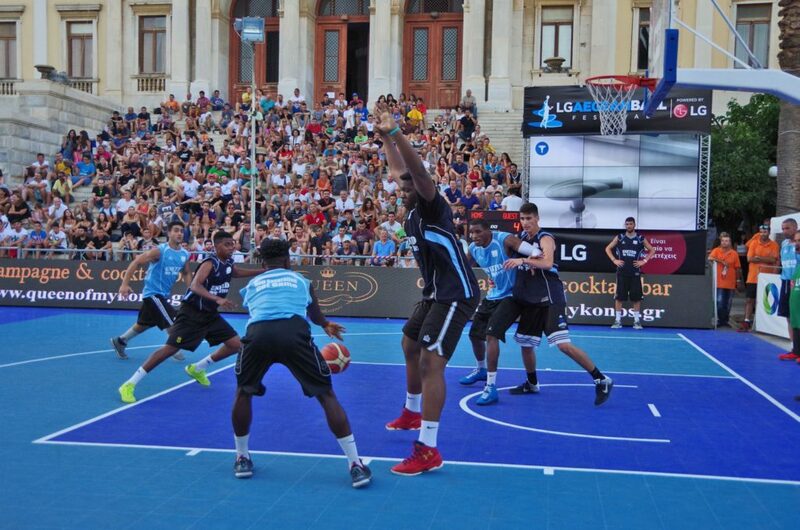 Specifically, the program of the competition marked out that on Sunday 18/7 the first and the second team of the AegeanBall Festival would compete against 2 national teams. But those games did not happen with the Generation teams that came first (Generation) and second (Black n’ White), but with the teams that came 3rd and 4th, with no explanation whatsoever about the reason, neither from the festival’s organization, nor from the media sponsors. We don’t want to keep hard feelings, we just want to say that it is a pity for sports in general and specifically for that festival that has a certain purpose, which is supported by FIBA as well, to deprive from young athletes that compete in a professional level inside and outside of Greece, to show their talent and pass along their message: sports unite us and do not discriminate! This exactly was the message that George Printezis, the person who started the AegeanBall Festival, wanted to pass along, which was shown also by the support he gave to the Generation teams, posting photos in his Facebook Profile and Instagram Account. So, we are going to stay loyal in George’s vision and we will meet again next year with very strong and very different teams! 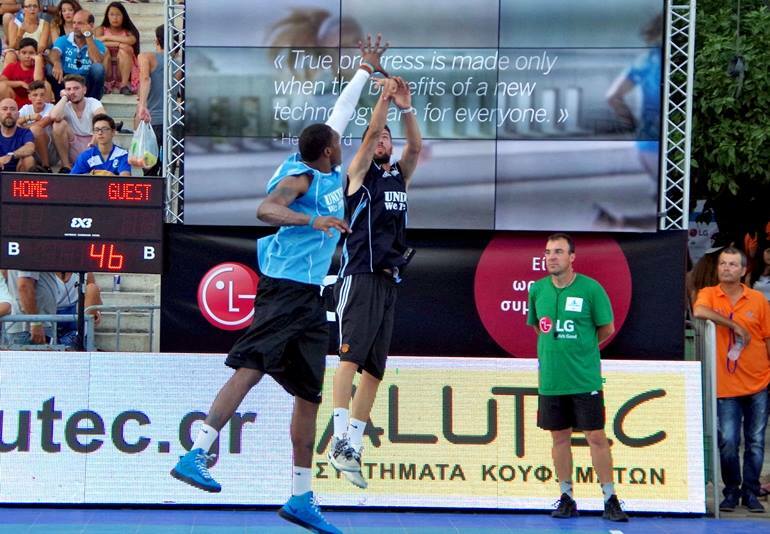 For more photos of Generation 2.0 in the AegeanBall Festival you can find here!